Sums to 3. 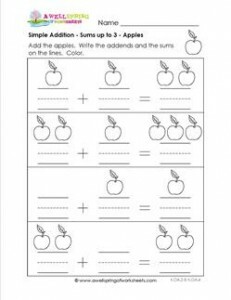 This simple addition worksheet uses apples to count and add. Take note of the zeros. Kids can color the apples in a pattern. Please go to this page to see all the simple addition worksheets in this set.